McALISTERVILLE — The Needham’s will be singing during the 6 p.m. service at Stony Run Mission on Sunday. MIDDLEBURG — Two music groups will perform during an outdoor gospel music concert on Sunday at St. Paul’s (Erdley’s) Lutheran Church, 2337 Erdley Church Road, Middleburg. Mended Heart will perform at 2 p.m. and Wehry Family will perform at 4 p.m. The event will be held outside in the picnic grove. Attendees are asked to bring a lawn chair and a nonperishable food item to be donated to a local food bank. Refreshments will be served. In case of inclement weather, the concert will be held inside. Call (570) 374-5535 for more information. 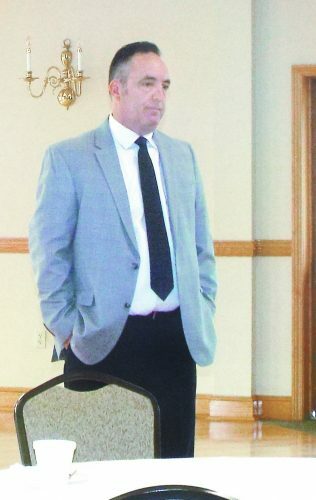 LEWISTOWN — At 6:30 p.m. Wednesday evenings in June, Ashley High will be the special speaker at First Baptist Church, Lewistown. She will addressing the subject, “Compassion for the addict and their family.” This will be a helpful program for all who seek to help those affected by addiction. A question and answer time will follow the presentation. Visitors are welcome to be part of the weekly program. There will be a separate children’s program for ages 6 to 11 held 6:30 to 8 p.m., which will be directed by Kathy Stump and assistants. 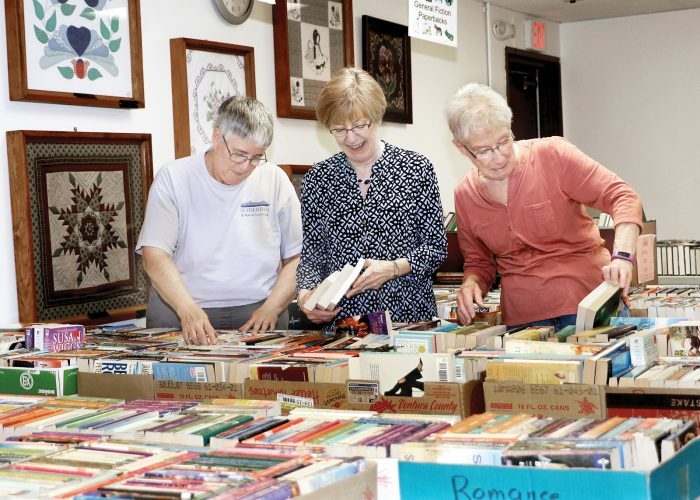 REEDSVILLE — Church Hill United Methodist Church, located at 199 Woodland Circle, Reedsville, will have a yard sale at 8 a.m. to 12:30 p.m. June 9 at the church. All are welcome. Proceeds benefit the church missions. MOUNT UNION — The Tabernacle Church of God in Christ, at 202 W. Walnut St., Mount Union, will host a Gospel Jubilee from 10 a.m. to 5:30 p.m. June 9. Food will be sold at the event. Special singers and speakers will include the Rev. Julia Piper, the Rev. Ricardo Huffman, Tom Morder, Herb and Marjie Kidd, Pastor Ramon Morgan, Erica Wilson, Paul Zook, Rebekah Harrick, Gethsemanetts, Mount Union Bethel A.M.E. singers, Payne Church singers, Potters Band and Robert Toomey. There is no charge. Participants are asked to bring a lawn chair. For more information, visit www.LostCreekMennoniteChurch.org and preregister for each class by June 11. BURNHAM — Windy Hill Bible Church will host Remington Ryde Gospel Group at 10:30 a.m. and 6 p.m. June 24. McALISTERVILLE — Stony Run Mission will hold its evening service at 6 p.m. July 29 at Evendale Ball Field with Nottingham Four. Attendees are asked to bring a lawn chair. Services will be held at the church if it rains.